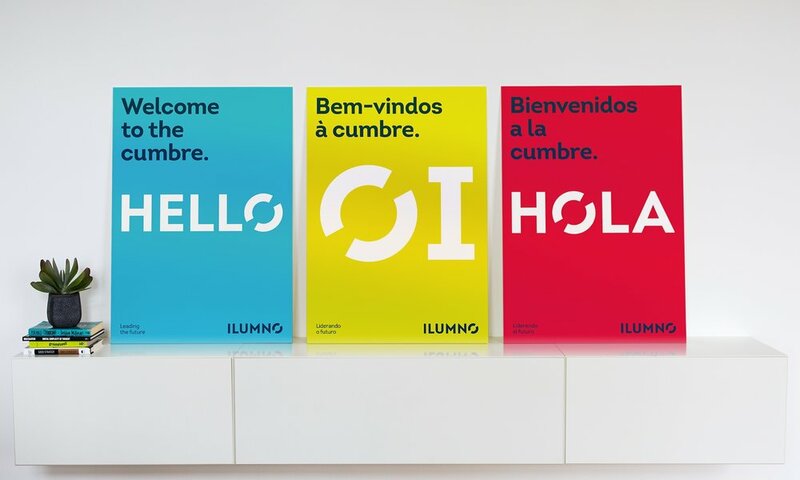 Ilumno is a Florida based network for higher education running 10 universities across Argentina, Brazil, Chile, Colombia, Costa Rica, Panama and Paraguay. 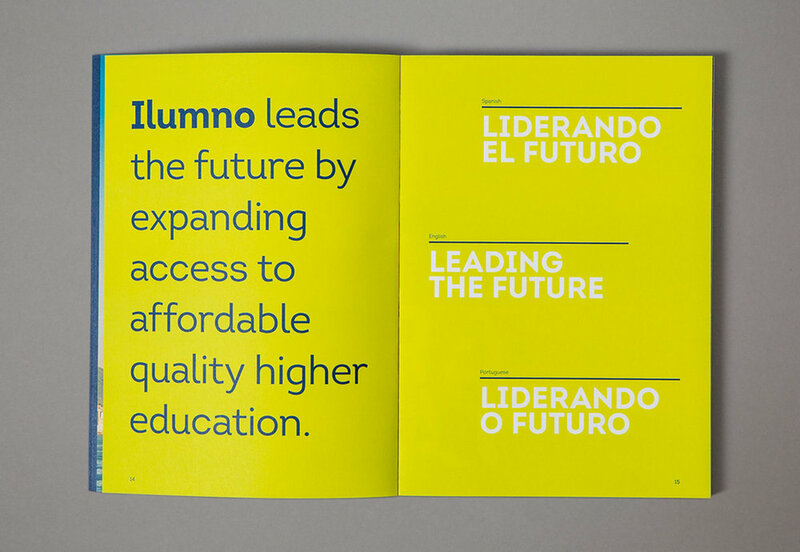 Their slogan ‚Leading the Future’ is built upon their promise of transforming education by providing universal access to higher education in the growing market of Latin America. 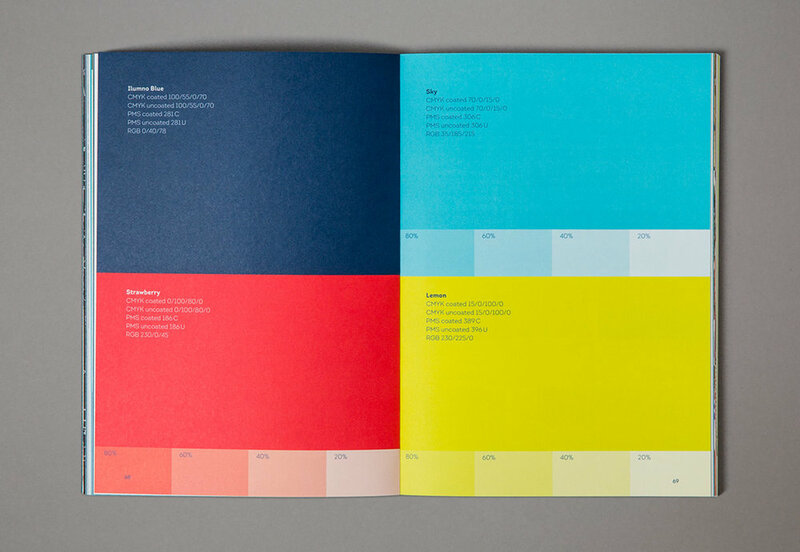 While their university brands were highly successful in their respective markets the network brand Red Ilumno lacked a strong visual identity and was perceived as too American. 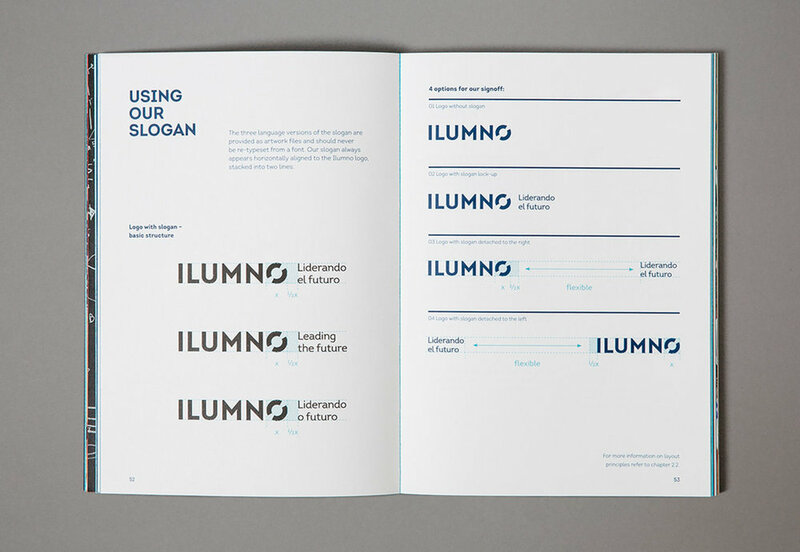 Based on the brand idea ‚Gateway to a Better Future’ we developed a simple and strong wordmark complimented by a visual system that could stretch across Ilumno's diverse target audiences, ranging from investors and institutions to students and their local communities. The brand was rolled out across the network and has been implemented for bi-annual think tank meetings Cumbre and #ThinkGrowth Conference and is currently being introduced into the university spaces through a brand experience area.